Most people think of paradise as a perfect place or a state of complete bliss, away from work, devoted to rest and pleasure. When visiting Cancun you can indulge in, breathtaking sandy beaches, tones of turquoise waters, bright blue skies and tropical Balmy weather inviting you for a romantic candle lit dinner on the beach under thousands of stars. First class hotels, five star restaurants, world class nightlife and historical archeological sites are just a few of local amenities to enjoy. A sunny tropical climate awaits you. Just a few hours away from all major cities in the United States, Cancun has become the favorite relaxation, fun and adventure destination for all different ages. In Cancun, where you could keep busy for all hours of the day or just relax and renew your soul, body and spirit at the most pleasurable spa's ever imagined. Take a day or two to visit the most fascinating surroundings, visit captivating ecological parks and enjoy, the ultimate experience that will put you in touch with your true nature. Swim with dolphins, take a tour to many archeological sites that are nearby, one of them just got voted a new wonder of the world, or simply enjoy the sound of the waves that will sooth the stress and worries of the modern world away. You’ll enjoy the Mexican hospitality, in a place where you feel welcomed by the smiles and friendly spirit of the locals, where someone will surely exceed your expectations in every one of your requests. Get pampered by the world known first class service of tourism professionals who are here to make your stay the most memorable time of your life. 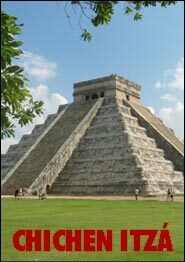 Cancun is definitely Mexico’s showcase resort destination. The original developers and the Mexican government can be proud of the many years of work and planning, the most famous and beautiful Mexican resort area. 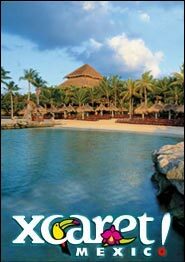 Cancun has been carefully groomed into one of the most polished resorts destination anywhere. 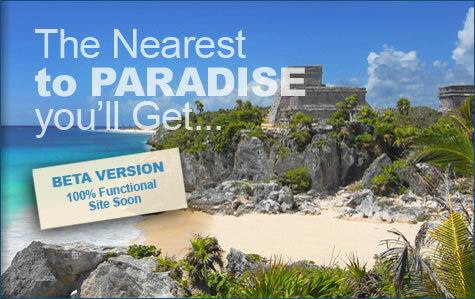 Just a few resorts in the world have the infrastructure and amenities that were built into Cancun since the beginning. The beaches are one of Cancun's most famous attractions, miles and miles of beautiful white sand beaches, along with the most incredible turquoise waters will make the perfect frame for your pictures and films, you can enjoy the endless activities that will make you feel in another world, parasailing, wave runners, snorkeling, or just a delicious Strawberry Daiquiri while you lie down in a hammock will make the best out of your day. While enjoying the white sand beaches in Cancun, you can stay and pamper yourself in Cancun resorts for a perfect and relaxing holiday trip.